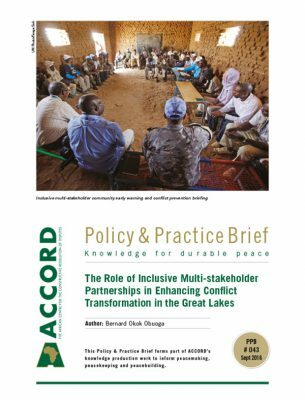 The large number of refugees and internally displaced persons (IDPs) in the Great Lakes region poses immense challenges to peacebuilding processes within the countries affected, as well as in that entire conflict system. An influx of refugees impacts peace and security, citizenship considerations, as well as cross-border and ethnic conflicts, among others. 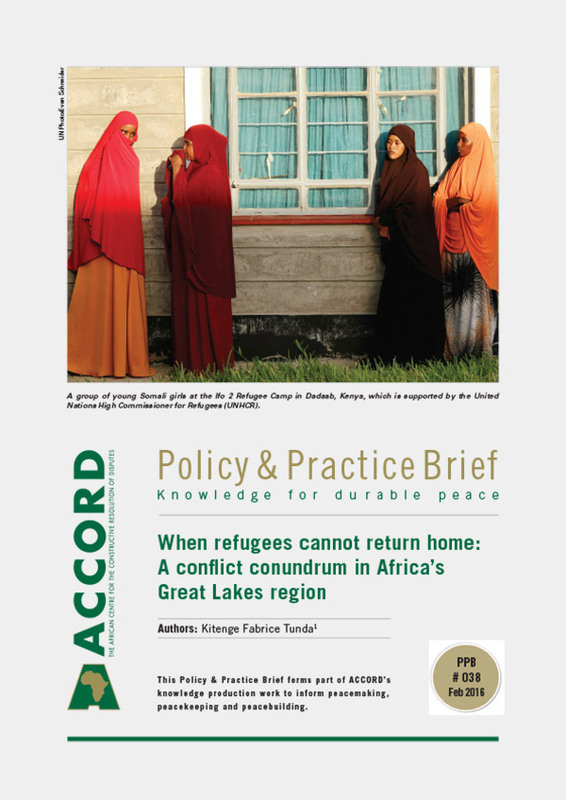 A case in point, conflict is often triggered by competition for land and economic resources, and is exacerbated by the growing number of refugees in Africa’s Great Lakes region. The presence of refugees contributes to significant security issue for several countries in the region. There have been reports of some refugees joining armed groups or terrorist organisations, occupying large territories to exploit mineral resources, attacking local communities to expropriate land, and acting as cheap labour, to the detriment of locals. These factors advance the perception among original inhabitants that crime, impunity and weapons trafficking, among other scourges, increase with the settlement of foreigners in their communities and countries.2 On the other side of the debate are considerations that refugees bring important skills and knowledge into host countries, participate in entrepreneurship and development projects that contribute to local economies, and boost local markets due to increased demand for products and services. There are questions that are central to understanding the dilemma that is the ongoing refugee crisis in the Great Lakes region. How can the challenge of huge refugee numbers in the region be addressed? How best can long-term, sustainable and holistic political and humanitarian solutions be implemented to deal with the negative impacts of the refugee crisis? Why has the flood of refugees been such a long-term recurrent issue in the Great Lakes region, compared to other parts of the continent? This Policy & Practice Brief (PPB) analyses why refugees have been hesitant to return to their domiciles, even when there have been indications that relative peace had returned to their countries of origin. It also examines the impacts of refugee flows on peace and security, as well as on land and socio-economic control and access. It concludes by proffering recommendations on what can be done, from a regional perspective, to decrease the number of refugees, while simultaneously resolving the root causes of the various conflicts that the refugees have fled in the first place. The Great Lakes region of Africa has been engulfed in violent intra-state conflicts and proxy inter-state hostilities for several decades. The Rwandan genocide, numerous armed conflicts in the Democratic Republic of the Congo (DRC) and the civil war in Burundi are a few examples of the challenges to peace and security that the region has experienced, with millions of people killed and displaced. The region has also been affected by numerous disasters, among them humanitarian crises (resulting from the 2002 Nyiragongo volcano eruption and the Ebola outbreak in the late 2000s), food insecurity, socio-economic decline, and the destruction of infrastructure. Although there had been numerous violent conflicts before, the Great Lakes region attracted international attention during, and in the immediate aftermath of the Rwandan genocide (April – July 1994). Fearing retribution, more than two million people, including Hutu civilian militias accused of participating in the genocide, fled to neighbouring countries, especially the DRC. For several years, some of these refugees used the humanitarian largesse of the international community to rearm, recruit and continue the war in Rwanda. They also became involved in what some scholars have described as a second genocide against eastern DRC’s sizable Tutsi population.10 The Hutu militias’ plans to regain control of power were an incentive, for Rwanda, to attack their rear bases in the DRC. The conflict paved the way for a new Congolese rebel group, Alliance of Democratic Forces for the Liberation of Congo-Zaire/Alliance des Forces DeÌmocratiques pour la LibeÌration du Congo-ZaiÌˆre (AFDL), to topple former President Mobutu Sese Seko, culminating in the two Congo wars of 1996 and 1998. In November 1996, 640 000 refugees left their camps in the DRC11 and returned to Rwanda following attacks on their dwellings by the Rwanda Defence Force. However, more than 200 000 refugees remained in Goma, as many others moved westward deeper into the DRC.12 The Interahamwe, a youth militia group involved in the Rwandan genocide, fled into Congolese forests and, together with former soldiers of the Armed Forces of Rwanda, founded the Army for the Liberation of Rwanda/ArmeÌe pour la LibeÌration du Rwanda (ALiR), which would later become the Democratic Liberation Forces of Rwanda/Forces DeÌmocratiques Pour la LibeÌration du Rwanda (FDLR). The table below shows that the countries of the Great Lakes region are interlinked by the refugee crisis and will always be affected when conflicts flare up. Countries in the Great Lakes region are not only concerned about the specific number of refugees; other concerns include refugees’ impact on the environment, healthcare and cultural identity of host nations. 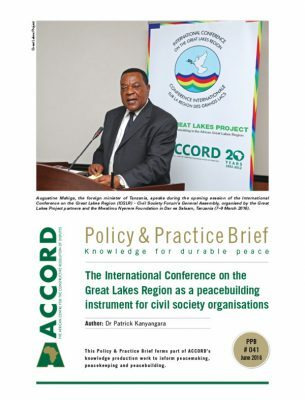 However, as stipulated in the 2006 International Conference of the Great Lakes Region (ICGLR) Pact on Security, Stability and Development in the Great Lakes Region, focus should be more on democracy, humanitarian and social welfare, economic development and security considerations;17 the focus of this brief. In the Burundian political crisis, a number of high-ranking officials who held dissenting opinions about the incumbent president’s decision to run for a third term in 2015 went into exile in Rwanda.20 When political luminaries seek asylum in neighbouring countries, it is often impossible to completely dispel the notion that unless the structural issues they raised are resolved or seen to be resolved, there is a high likelihood that they will remain politically active even though they are refugees. Such activeness may involve, among others, support to or sympathy for an armed group whose ideals are in sync with those of such leaders. Sustainable peace and security can be achieved through effective resolution of conflicts in the region. Trying to resolve the issue of the influx of refugees without dealing with the various political and socio-economic factors that caused the conflicts in the first place is bound to result in failure. The consolidation of peace is linked to democracy, economic development, respect for human rights, good governance and an independent justice system. Without these, additional conflicts will lead to more people seeking refuge in neighbouring countries. Once wars are resolved, refugees are more likely to return to their countries without fearing persecution; their only concern will be about potentially finding their land(s) occupied. This brings us to the next pertinent issue of land disputes, which is critical in the analysis of conflicts in the Great Lakes region. In many societies, especially conflict-affected ones; land is an important socio-economic asset, since access to it is often linked to wealth and survival. As a result land, due to its significance, is frequently an underlying cause of widespread violence, as well as a critical element in peacebuilding and economic reconstruction in post-conflict situations.29 Consequently, if access to, control and usage of land is not well-managed, it can undermine the consolidation of peace in the region. Although most refugees in host countries, whether in camps or foster families, need land to grow their crops, they are supported with food and shelter by the UNHCR, in partnership with the World Food Programme and other humanitarian organisations. In host countries, land conflicts between refugees and local communities are rare. It is a more serious matter when refugees return home to find that their land is occupied by another ‘owner’. When the new landowner does not want to give back the land after ‘owning’ it for several years, this can lead to conflict which can destabilise a whole village or community in a post-conflict state.31 Some countries in the region have institutions and policies in place related to land conflict management. Land restitution or compensation to refugees and IDPs who return home has to be implemented to promote peace and reconciliation. While in Burundi and the DRC land issues have triggered conflicts in rural communities, Rwanda had put in place legislation (part of the Arusha Agreement) for refugees to repossess their properties upon their return.32 The current crises in Burundi, CAR, eastern DRC and South Sudan have resulted in the displacement of thousands of men, women and children within their home countries, and larger numbers of refugees into neighbouring countries. If not managed effectively, these crises have the potential to seriously undermine regional stability. In some instances, countries can be excluded from regional organisations or trade agreements with international partners. Due to the political crisis, Burundi is currently under threat of exclusion from the African Growth and Opportunity Act,34 and the European Union has imposed targeted sanctions.35 The United States government is in the process of reviewing Burundi’s eligibility to the group in matters of human rights, following elections held in that country in July 2015. The German government also suspended any cooperation with the Burundian regime, although assistance programmes that serve the population were scheduled to continue through collaboration with non-state organisations.36 One could speculate that if the crisis deepens further, donor countries could freeze their direct investment. This would inevitably have a negative impact on the country’s economy, and the region as a whole. When the economy declines in a host country, it may force some citizens to move to a different country to satisfy their needs. When refugees have children in host countries, issues of citizenship, which have the potential to create more conflicts in future, arise. In 2016, Kenya threatened to expel thousands of Somali refugees to curb terrorism on its territory.37 Expelling the Somalis from a country they call home to return to a land some left a decade or more ago could have exacerbated refugee suffering and destabilised the region, particularly if the exiles refused to return, especially since some of them regarded Somalia as a ‘new land’. Furthermore, returning to Somalia while the country is still in turmoil could push refugees to join terrorist groups or flee again to other neighbouring countries. In another case, Tanzania granted citizenship to more than 160 000 Burundian refugees,38 most of whom had fled their country during the 1972 massacres and the civil war. There are three potential solutions to the refugee crises in the Great Lakes region that governments can apply: repatriation, local integration and resettlement. Like Tanzania, which granted naturalisation certificates to approximately 162 000 former Burundian refugees, countries in the region should be encouraged to grant citizenships to refugees born on their territories and to those who have had refugee status for several years.39 While an option, granting refugees citizenship does not completely resolve the problem. A resettlement programme could also be adopted by rich or stable African countries to receive high numbers of refugees by granting them permanent residency. For instance, the UNHCR is currently implementing a regional resettlement strategy for Congolese refugees who cannot return to the eastern part of the DRC.40 It should also be noted that granting citizenship and permanent residencies may lead to increased numbers of ‘bogus refugees’. The latter still remains a bottleneck with regard to resettlement in a third country, especially in the West. Even when the security situation has improved, some refugees refuse to participate in voluntary repatriation programmes, in the hopes that they will be resettled in countries in the global North. It must be noted here that it is hard to identify a ‘bogus refugee’ in a camp; they could be economic migrants in pursuit of a better life and social benefits, and not refugees.41 Solutions to the issue of refugees may be influenced by local politics and democracy in both host and countries of origin. The respect of constitutions by governments would protect the rights of their citizens and strengthen democracy in the region. Regular or periodic free and fair elections have become part of democratic processes, which contribute to the building of strong institutions. Thousands of men and women, who feared insecurity as a result of the political crisis, left Burundi in 2015 to seek refuge in neighbouring countries. Another political crisis could come from Rwanda and the DRC, whose leaders are trying to amend their constitutions to allow them a bid at a third term as president. Whether or not the amendments are approved by their respective lower and upper houses, they will have an effect on the political stability and refugee crisis in the region, because citizens would likely fear more violence. Because of violence, one country may openly criticise another’s local politics or internal affairs on the basis of the number of citizens that have fled its territory to settle in another as refugees. The Rwandan government criticized Burundian officials, not for the third term presidential bid, but for lack of public service delivery which, according to Rwandan President Paul Kagame, led to popular uprising.42 His aides have also accused the Burundian government of supporting FDLR rebels.43 Burundian top officials further accused Rwanda of tacitly aiding their enemies; former ruling party members who have sought refuge in Rwanda.44 The alleged support of enemies, if true, contravenes the convention governing the specific aspects of refugee problems in Africa which stipulates that ‘Signatory states undertake to prohibit refugees residing in their respective territories from attacking any state member of the AU, by any activity likely to cause tension between member states, and in particular by use of arms, through the press, or by radio’.45 Both governments have denied the accusations. The impact of refugees’ presence is not only on peace and security, economy and land issues. Long after refugees leave host countries, the effect is also felt on the environment. Limited access to clean water compels refugees to fetch water or wash their clothes in rivers. Refugees also utilise more wood for their cooking; which contributes to deforestation. In the camps, there is a greater risk of outbreaks of diseases such as cholera and diarrhoea, and even malnutrition among children. This PPB advances some recommendations aimed at contributing to solutions to the refugee crisis in the Great Lakes region. Enhance the capacities of national refugee commissions to effectively manage refugee crises where they occur. Refugee commissions should also ideally share data and information with other refugee bureaus in the region to assist in the administration of refugees inside and outside camps. Promote democracy and economic development to deter violent conflicts; the latter are caused when people cannot meet their basic human needs, which need to be fulfilled if conflict is to be avoided. More investments should thus be directed to socio-economic sectors through improved funding for education, healthcare and infrastructure development. Ensure that rule of law institutions are and remain independent and impartial to ensure that citizens are not denied justice. Implement, or support the implementation of programmes that provide employment opportunities for refugees who make the decision to integrate locally. These opportunities must be supported with vocational training and job opportunities for citizens to avoid tensions and conflicts between migrants and nationals. In this way, refugees can have opportunities to contribute to local economies without being accused of ‘stealing jobs from locals’. Encourage refugees to return home after conflicts are resolved, with the assurance that they will not be persecuted. The rationale behind this is to put in place laws that prevent maltreatment of returnees who committed less violent crimes or offences. Those found guilty of war crimes and crimes against humanity should be prosecuted and given fair trials, whether in their home or host countries. Ensure equal access to resources. 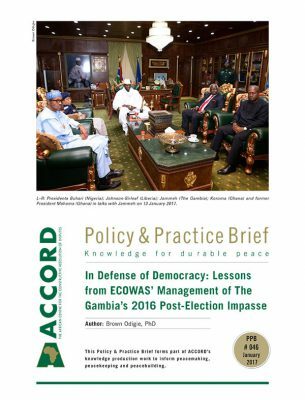 When all groups are represented in local and national institutions under a democratic system, the risks of conflict arising are minimised. Institute measures to minimise refugees’ engagement in unlawful activities aimed at destabilising their home countries. Refugees’ actions and activities should be monitored to prevent cross-border attacks. Furthermore, rebel groups or armed political movements should not be allowed to operate in host countries. Provide protection and free schooling for refugee children to prevent their recruitment into armed groups as child soldiers. Encourage the adoption of unaccompanied children by locals in host countries if family reunification has been unsuccessful. Enforce the ICGLR Protocol on the Property Rights of Returning Persons, which calls for the protection and recovery of the property of returnees. With the assistance of the Regional Centre on Small Arms, strengthen disarmament and demobilisation programmes, among other interventions, to control the flow and proliferation of small arms into refugee camps. Promote the inclusion of refugee issues in mediation and work on the peaceful resolution of conflicts between and within member states. 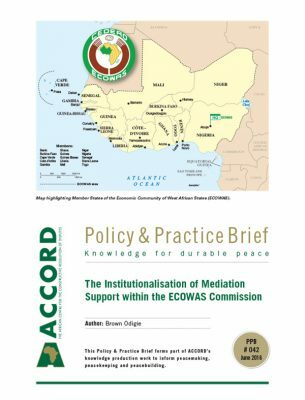 Mediators need to explore ways of creating safe channels of communication with refugees; a post-conflict country’s peacebuilding projects will be undermined if displacement issues are not adequately addressed. Enforce the implementation of a comprehensive and inclusive strategy with national governments to deal with the influx of refugees through border management policies; this should not be left to the UNHCR alone. Together with national refugee commissions, monitor armed groups and national armies to counter recruitment of child soldiers, and any recruitment for that matter, in refugee camps. Continue to encourage voluntary repatriation of refugees who want to return, but hesitate or are forced by their fellow countrymen to remain in host countries; the case of the FDLR in the DRC is a case in point. Also encourage local integration in countries that are willing to grant permanent residency or citizenship status to refugees who fear persecution if they return to their countries of birth. Build capacity of local peacebuilders through training and workshops to deal with refugee crises effectively. Expand the programmes to resettle refugees who fear persecution if they choose to return home. This can be achieved by increasing the number of refugees to be resettled in third countries. Equip refugees with entrepreneurship skills and knowledge to start their own businesses so they are not overly reliant on international organisations and governments. They should also ensure that these businesses are profitable through monitoring and evaluating operations and offering support. Encourage reconciliation between refugees resettling back in their homes and on their lands, and the local community members who stayed behind during conflict. This should be supported by monitoring of the communities or regions where conflicts may erupt through the development and use of conflict early warning mechanisms. Inform refugees about their rights and responsibilities so they can avoid breaking laws in host countries, and abstain from political and illegal activities in refugee camps. While the influx of refugees threatens regional stability, it is important to note that although the mass movement of people outside their countries as a result of war is a humanitarian problem, a political solution, achieved through dialogue between countries, is one of the tools that can resolve crises, and pave the way to consolidating the achievement and maintenance of sustainable peace in the four countries currently experiencing conflict, and the Great Lakes region as a whole. The successful consolidation of peace also depends on conflict resolution, respect of human rights, security, protection of private property and ensuring access to scarce resources, without which the number of refugees will keep rising, leading to the further destabilisation of an already unstable region. As well as impacting peace and security, prolonged instability will negatively affect the economy of the region. Governments of countries in the Great Lakes region, together with their local and international partners, should come up with a comprehensive strategy to deal with the increasing number of refugees, which undermines peacebuilding. Peacebuilding is a long process, which often lasts several years before a country can return to a pre-conflict state. The refugee crisis in the Great Lakes region cannot be resolved overnight; it requires that the root causes of the conflicts be isolated and addressed. The region can respond to the crisis through ensuring greater cooperation between countries and enhancing collaboration with the UN, AU, CSOs, NGOs, donor countries and regional economic communities. The refugee crisis can also be resolved through voluntary repatriation, resettlement and local integration of exiles. For some refugees – former combatants for instance – a permanent solution has to be found. When a country hosts fighters of a neighbouring country on its territory, the chances that another conflict may erupt increase. In this event, prolonged humanitarian assistance carries the risk that former fighters-turned-refugees will be more likely to divert funding and resources to attacking their home countries. The majority of refugees who fear injustice and persecution hold off on returning home. They should not be forced to travel back home unless there are guarantees that all elements that caused their departures in the first place have been addressed. Post-conflict countries in the region should encourage their citizens to return home after the conflict has ended, and include them in dialogue and reconciliation processes. Refugees should be given opportunities to rebuild their lives, whether it is in their host, home or third countries. Their presence should not only be a burden for host countries; if given opportunities refugees can contribute to the development of local economies through their skills and knowledge. But, if they spend several years in camps without opportunities to contribute to improving their living conditions, they may resort to violence, cross-border crimes and/or join rebel or terrorist groups. This can undermine the consolidation of peace in the region. 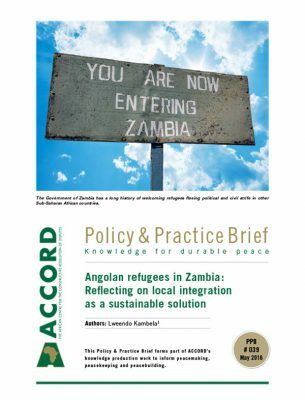 Appreciation is extended to John Ahere, Natacha Kunama, Olivia Victoria Davies, Senzo Ngubane and Patrick Kanyangara, all of ACCORD, for their support and input into this brief. Sabwamlundu, M. 2015. Interview with the author on 4 August. Uvira. [Author in possession of notes]. United Nations High Commissioner for Refugees. 1951. The 1951 refugee convention. United Nations High Commissioner for Refugees. Available from: <http://www.unhcr.org/3b66c2aa10.html> [Accessed 8 September 2015]. Cimade, Inodep, and Mink. 1986. Africa’s refugee crisis. What’s to be done? London, Zed Books. p. 112. African Union. 2009. African Union Convention for the Protection and Assistance of Internally Displaced Persons in Africa (Kampala Convention). African Union. Available from: <http://www.unhcr.org/4ae9bede9.html> [Accessed 9 November 2015]. There has been an influx of economic migrants travelling throughout the region in search of opportunities. This category of migrants differs from refugees who leave their home countries because of political instability, human rights abuses and war to seek refuge in foreign lands; and IDPs who do not cross international borders but leave their homes due to violent conflicts or famine. Omeje, K. and Hepner, T. R. 2013. eds. 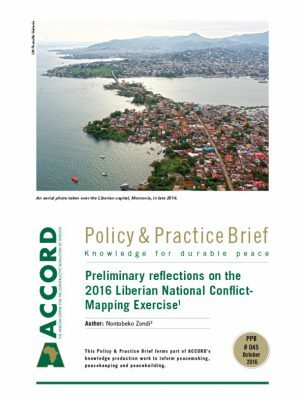 Conflict and peacebuilding in the African Great Lakes region. Bloomington, Indiana University Press. p. 3.
International Conference on the Great Lakes Region. 2015. Member states. International Conference on the Great Lakes Region. Available from: <http://www.icglr.org/index.php/en/apply-for-job> [Accessed 17 February 2015]. United States Department of State. no date. About the Great Lakes region. United States Department of State. Available from: <http://www.state.gov/s/greatlakes_drc/191417.htm> [Accessed 21 October]. Stedman, S. J. and Tanner, F. 2003. Refugees as resources in war. In: Stedman, S. J. and Tanner, F. eds. Refugee manipulation: War, politics, and the abuse of human suffering. Washington, Brookings Institution Press. p.2. Adelman, H. 2003. The use and abuse of refugees in Zaire. In: Stedman, S. J. and Tanner, F. eds. Refugee manipulation: War, politics, and the abuse of human suffering. Washington, Brookings Institution Press. p. 100. Prunier, G. 2009. Africa’s world war: Congo, the Rwandan genocide, and the making of a continental catastrophe. London, C. Hurst & Co. p. 148. Sabwamlundu, M. 2015. Op. cit. United Nations High Commissioner for Refugees. 2015. 2015 UNHCR country operations profile – Kenya. United Nations High Commissioner for Refugees. Available from: <http://www.unhcr.org/pages/49e483a16.html> [Accessed 17 October 2015]. United Nations High Commissioner for Refugees. 2015. UNHCR 2015 planning figures for Uganda. United Nations High Commissioner for Refugees. Available from: <http://www.unhcr.org/cgi-bin/texis/vtx/page?page=49e483c06&submit=GO> [Accessed 9 November 2015]. United Nations High Commissioner for Refugees. 2014. 2015 UNHCR sub regional operations profile – Central Africa and the Great Lakes as at December 2014. United Nations High Commissioner for Refugees. Available from: <http://www.unhcr.org/pages/49e45a6c6.html#> [Accessed 18 January 2016]. Fleshman, M. 2007. Pledging peace at Great Lakes summit. Africa Renewal Online, April. 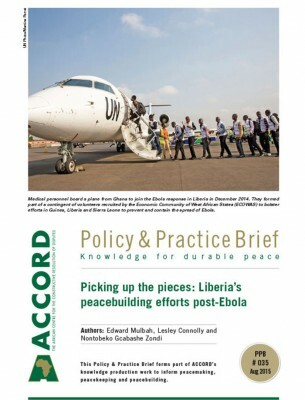 Available from: <http://www.un.org/africarenewal/magazine/april-2007/pledging-peace-great-lakes-summit> [Accessed 20 October 2015]. Dokken, K. 2008. African security politics redefined. New York, Palgrave Macmillan. p. 54. ENCA. 2015. Burundi journalists, activists seek refuge in Rwanda. ENCA, 27 June. 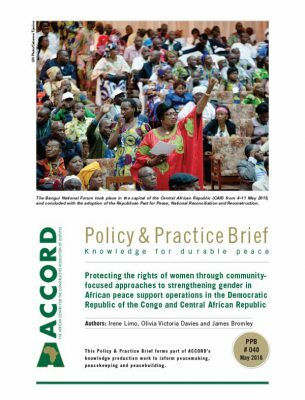 Available from: <https://www.enca.com/africa/burundi-journalists-activists-seek-refuge-rwanda> [Accessed 16 September 2015]. Allison, S. 2015. World’s largest refugee camp scapegoated in wake of Garissa attack. The Guardian, 14 April. Available from: <http://www.theguardian.com/world/2015/apr/14/kenya-garissa-dadaab-scapegoat-al-shabaab> [Accessed 17 October 2015]. Kushkush, I. 2015. Kenya steps back from threat to expel Somali refugees. New York Times, 6 May. Available from: <http://www.nytimes.com/2015/05/07/world/africa/kenya-uhuru-kenyatta-somalia-refugees-dadaab-camp.html?_r=0> [Accessed 1 September 2015]. Kelley, K. J. 2015. Somalis leaving Kenya, but mass return not possible, UN says. Africa Review, 17 October. 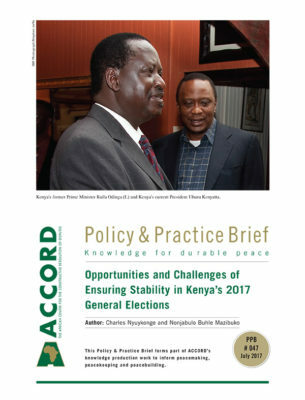 Available from: <http://www.africareview.com/News/Somalis-leaving-Kenya-but-mass-return-not-possible-UN-says/-/979180/2918546/-/8u00sbz/-/index.html> [Accessed 19 October 2015]. The Kirundi word for ‘those that see far’. This is the youth wing of the Burundi ruling party, the National Council for the Defense of Democracy–Forces for the Defense of Democracy/Conseil National Pour la DeÌfense de la DeÌmocratie–Forces pour la DeÌfense de la DeÌmocratie, (CNDD–FDD). Manda, J. 2015. Interview with the author on 3 August. Uvira. [Author in possession of notes]. United Nations High Commissioner for Refugees. 2015. UNHCR 2015 planning figures for Uganda. Op. cit. Theron, J. 2009. Resolving land disputes in Burundi. In: African Centre for the Constructive Resolution of Disputes. Conflict Trends, 1, (2009), p.4. Durban, African Centre for the Constructive Resolution of Disputes. 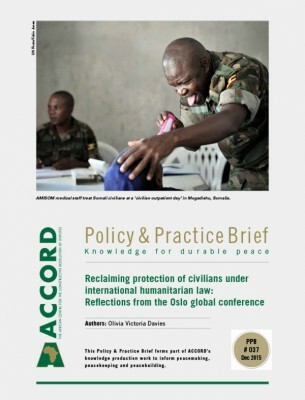 Available from: <https://accord.org.za/publication/conflict-trends-2009-1/> [Accessed 15 September 2015]. Theron, J. 2009. Op. cit. Also, the Arusha Agreement indicates that all refugees must be able to recover their property. However, this is not always possible due to, for example, provisions in the Burundi Land Code of 1986. This code indicates that if land is owned (or occupied) by someone for longer than 30 years, then the occupant or new owner can become the legal owner of the land. Reclaiming land can become problematic for refugees if the land has been occupied or owned by a new owner for more than 30 years. Incore. no date. Arusha peace agreement. Incore. Available from: <http://www.incore.ulst.ac.uk/services/cds/agreements/pdf/rwan1.pdf> [Accessed 05 December 2015]. Article 4 of the Protocol of Agreement between the Government of Rwanda and the Rwandese Patriotic Front on the Repatriation of Rwandese Refugees and the Resettlement of Displaced Persons stipulates that ‘The right to property is a fundamental right for all the people of Rwanda. All refugees shall therefore have the right to repossess their property on return. The two parties recommend, however, that in order to promote social harmony and national reconciliation, refugees who left the country more than 10 years ago should not reclaim their properties, which might have been occupied by other people. The government shall compensate them by putting land at their disposal and shall help them to resettle. As for estates which have been occupied by the government, the returnee shall have the right for an equitable compensation by the government’. Standing Committee. 1997. Social and economic impact of large refugee populations on host developing countries. United Nations High Commissioner for Refugees, 6 January. Available from: <http://www.unhcr.org/3ae68d0e10.html> [Accessed 1 September 2015]. Ecofin Agency. 2015. U.S. envisage exclusion of Burundi from AGOA. Ecofin Agency, 21 October. 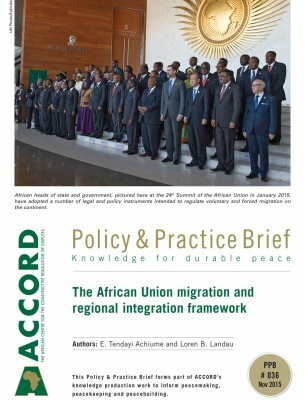 Available from: <http://www.agenceecofin.com/law/2008-31509-u-s-envisage-exclusion-of-burundi-from-agoa> [Accessed 1 September 2015]. Deutsche Gesellschaft fuÌˆr Internationale Zusammenarbeit. no date. Burundi. Deutsche Gesellschaft fuÌˆr Internationale Zusammenarbeit. Available from: <http://www.giz.de/en/worldwide/314.html> [Accessed 1 September 2015]. Emmott, R. 2015. EU ready to impose more sanctions on Burundi. Reuters, 15 February. Available from: <http://af.reuters.com/article/topNews/idAFKCN0VO1CQ> [Accessed 17 February 2015]. New York Times. 2015. Kenya steps back from threat to expel Somali refugees. New York Times, 6 May. Available from: <http://www.nytimes.com/2015/05/07/world/africa/kenya-uhuru-kenyatta-somalia-refugees-dadaab-camp.html?_r=0> [Accessed 1 September 2015].”. United Nations High Commissioner for Refugees. 2014. Tanzania grants citizenship to 162,000 Burundian refugees in historic decision. United Nations High Commissioner for Refugees, 17 October. Available from: <http://www.unhcr.org/5441246f6.html> [Accessed 1 September 2015]. United Nations High Commissioner for Refugees. 2015. 2015 UNHCR country operations profile – United Republic of Tanzania. United Nations High Commissioner for Refugees. Available from: <www.unhcr.org/pages/49e45c736.html> [Accessed 5 December 2015]. Musoni, E. 2015. Kagame speaks out on Burundi political crisis. New Times, 9 May. Available from: <http://www.newtimes.co.rw/section/article/2015-05-09/188624/> [Accessed 21 September 2015]. United Nations High Commissioner for Refugees. 2015. 2015 UNHCR country operations profile – Kenya. Op. cit. Santora, M. 2015. Fragile Burundi casts a wary eye on Rwanda. New York Times, 3 August. 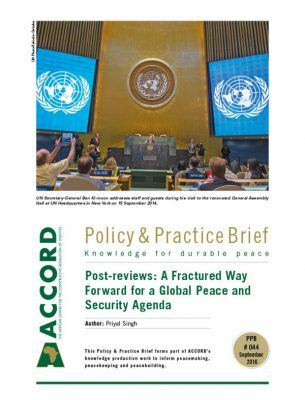 Available from: <http://www.nytimes.com/2015/08/04/world/africa/after-unrest-a-fragile-burundi-views-rwanda-with-suspicion.html?_r=0> [Accessed 16 September 2015]. Cimade, Inodep, and Mink. 1986. Op. cit. Banda, H. 2015. Paul Kagame vs. Jakaya Kikwete. The Africa Report, 16 June. Available from: <http://www.theafricareport.com/East-Horn-Africa/paul-kagame-vs-jakaya-kikwete.html> [Accessed 21 September 2015].